Lecithin is important to healthy hair growth. It also helps to break down fats, is essential to cell membranes, improves brain function and keeps cells from oxidating. It is comprised mostly of B vitamins, such as choline and insitol. 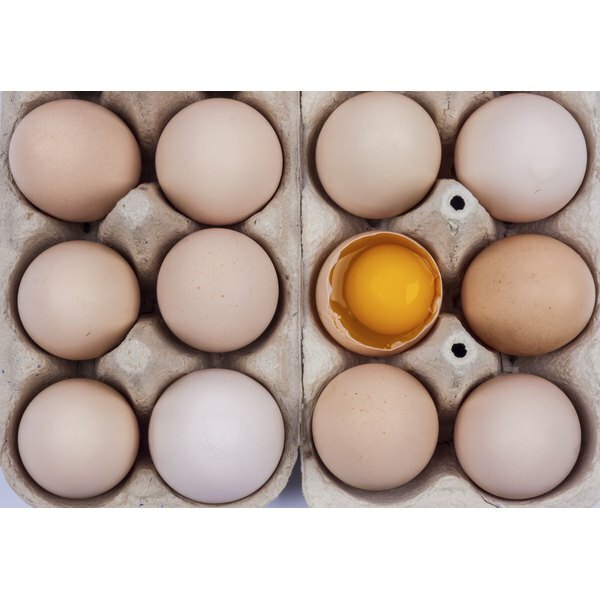 You can find lecithin in foods such as egg yolks, or take it as a supplement. Lecithin is a fat-like substance called a phospholipid. Your liver produces this daily, and it is used in the body to improve brain function and break down fat, and it is a key building block of every cell membrane, according to 1001Herbs.com. Lecithin is also found in foods such as cabbage, cauliflower, chickpeas, lentils, egg yolk, wheat germ, fish and brewer’s yeast. It is also an additive to foods, used mostly as an emulsifier. Ice cream, chocolate bars and mayonnaise are foods that contain lecithin, usually derived from soybeans. Two of the main nutrients in lecithin are choline and insotil, which are part of the B complex vitamins. Choline and insitol are both important for healthy hair growth. Choline and insitol protect against hardening of the arteries, and choline is essential in forming acetylcholine, which helps in memory function. Choline can also reduce chronic inflammation. According to Andrew Saul of DoctorYourself.com, each tablespoon of lecithin granules contains about 1700 mg of choline and 1000 mg of inositol. Hair growth depends on several factors. Getting enough sleep is one, according to the Proctor and Gamble website. Hair grows faster in one’s sleep, and so making sure to get to bed on time and sleeping at least seven hours a night will help hair grow faster. Having the correct balance of male and female hormones also plays a role. Male hormone levels will regulate hair thickness and how fast hair grows, while female hormone levels regulate how long hair stays in its growth phase. Nutrition is also important to hair growth. Aside from lecithin, antioxidants are also vital for hair growth. Minerals such as zinc, magnesium and the trace element sulfur are also important to hair growth and health. Many of the foods that contain lecithin also offer other nutrients. Cabbage, for example, is a good source of sulfur. Egg yolks are a good source of sulfur and other B complex vitamins. Wheat germ is a good source of vitamin E, one of the antioxidants important to hair growth. Taking a lecithin supplement can improve your health immediately. Lecithin crosses the blood-brain barrier and takes effect on your body right away, according to Dr. Florence Safford, a professor at Florida International University who conducted studies on lecithin’s effect on memory function. Safford recommends taking two tbsp. of lecithin granules per day in yogurt. Lecithin supplements come from either soy or egg yolk. Both are readily available. There is no recommended daily allowance for lecithin. Too much lecithin can cause dizziness, nausea and vomiting, according to vitaminstuff.com. Chow.com: Is Soy Lecithin Bad For You?